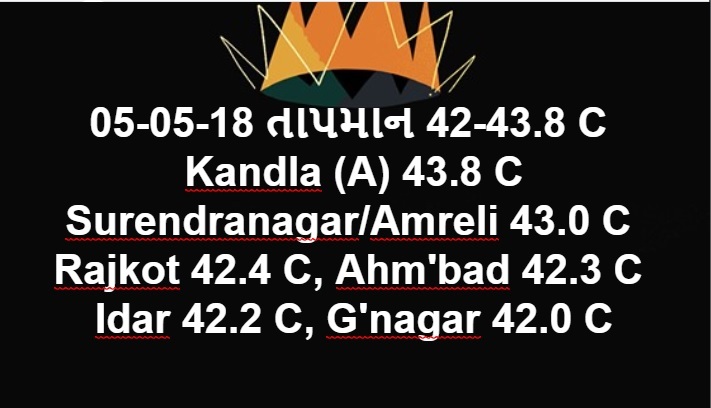 Bhavnagar 44.0 C, Surendranagar 43.4 C, Ahmedabad 43.0 C, Rajkot 43.0 C, Gandhinagar 42.7 C & Deesa 42.5 C.
Windy conditions prevailed over Saurashtra, Gujarat & Kutch. 7th to 9th May 40 to 42 C range with few centers crossing 42.0 C on some days. 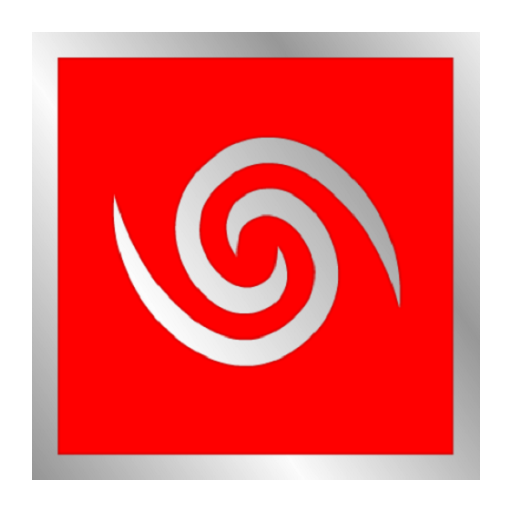 Wind mainly Westerly directions (NW/W/SW) during the forecast period. Windy conditions to continue till 4th and again high winds on 7th/8th May. Upper Air instability expected on 8th/9th May. Windy conditions expected during the forecast period over Rajasthan/M.P./U.P and adjoining areas. Light/medium scattered rain over Jammu Kashmir and many North Indian States, Odisha/West Bengal & Southern Peninsula. 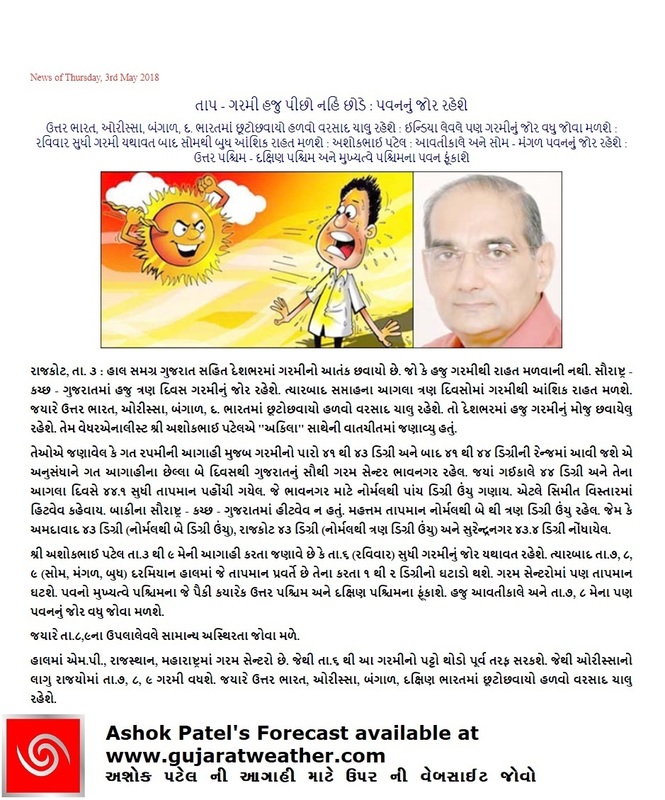 Today there is extreme heat in Vadodara. Hot winds r blowing from Northwest. Why at this moment winds have changed from South West to Northwest? 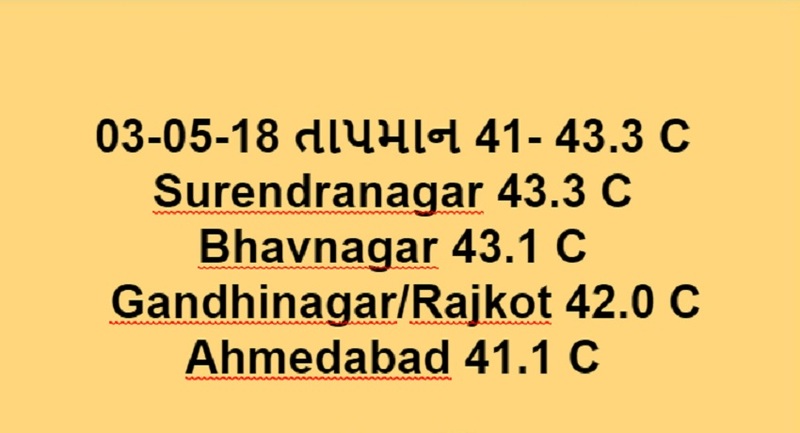 Baroda is 40.7 C. Nothing unusual.